The number one healthy snacking brand, You Are What You Eat, was re-launched at this year’s CRS. The range, manufactured by Sun Valley is worth £3.5m at retail, making it the number one healthy nut brand in the UK. To remain at the top of its game, the company have invested in a dynamic re-launch guaranteed to delight the ever-demanding consumer. Nature with a hint of exotic Berries – An Indulgent blend of berries with an exotic hit of tangy gooseberries. 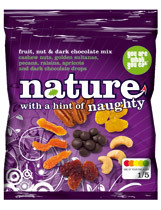 Nature with a hint of naughty Chocolate – A rich blend of fruit & nut with a naughty hint of dark chocolate drops.Nature with a hint of exotic Fruit & Nut – A rich blend of fruit & nut with luscious dragon fruit. Nature with a hint of naughty Yoghurt – An indulgent blend of fruit & nut with a lush pineapple aroma and a naughty twist of yoghurt coated pineapple chunks. As ever, Sun Valley pioneers of the healthy snacks market, continues to make huge strides with four bold new variants, featuring indulgent, quality ingredients resulting in a taste sensation like nothing else in the marketplace. 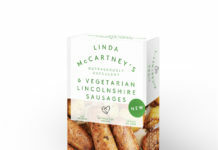 nathan Barr, Sun Valley commercial marketing manager, commented: “We are really excited by the re-launch of You Are What You Eat with its new vibrant packaging. It’s been a hugely successful brand and the new Nature range is a natural progression for us to make. The NPD has allowed us to move into new ingredient areas, including yoghurt coating, as well as sourcing exotic lesser-known ingredients such as dragon fruit, which we believe will be a real hit with consumers. 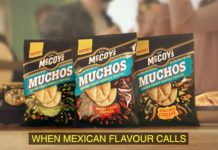 The range is available in 45g snack packs to target the convenience and impulse snacker. Later in the year will see the addition of 125g and multipack formats for the home snacking and lunchbox markets. The new You Are What You Eat Nature range is available now, for more information visit www.sun-valley.co.uk or call 0800 9178181. Sun Valley are also looking for distributors in Northern Ireland, please contact for more information.